LetsShave Soft Touch 4 comprises of an ergonomic handle for a woman’s grip. Easy to control both in the shower and outside for a comfortable shave. 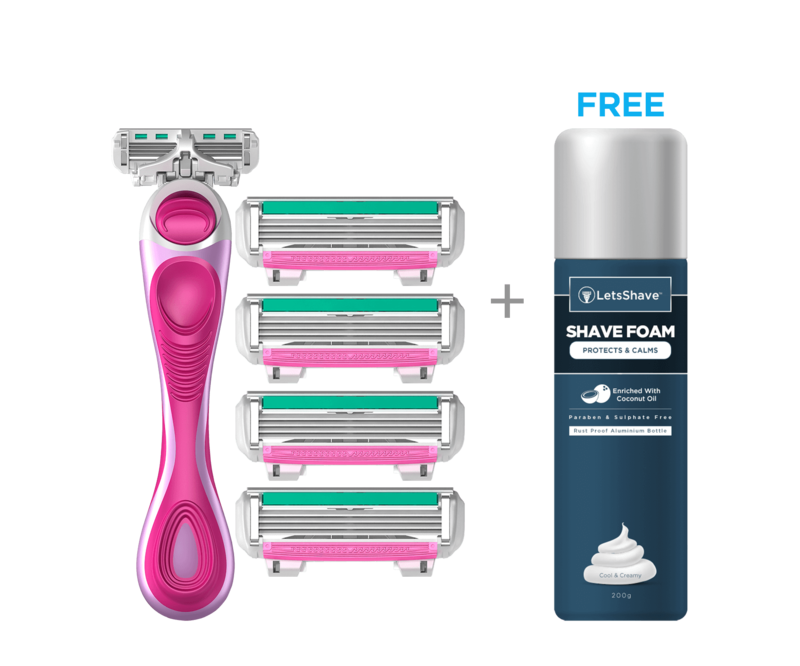 LetsShave Soft Touch 4 sharp blades are specially designed for the curves of a woman to give an incredibly smooth shave. Furthermore, its moisturizing band protects your skin, provide a comfortable experience and provides Soft Touch to your skin.